"Our new program provides the support, information, and tools that enable a employee to resume high job performance, and have a greater capacity to deal with the emotional ups and downs that are always a part of the divorce process," stated Nick Meima, of Starting Over Again. "Business owners can be proactive in the recovery process, by integrating this program into their human resources tools - and greatly reduce the impact of employee divorces on their bottom line." DENVER, Colo., Oct. 6, 2014 (SEND2PRESS NEWSWIRE) — When an employer has an employee going through the difficult process of a divorce, it has been estimated that the overall loss to that employer can be devastating to the business as well as the employee – a loss to the business of up to $80,000. Starting Over Again is now offering employers a way to reduce these losses, through a 10 week dedicated program in both the U.S. and Canada. The emotional upheaval related to divorce can be a long exhausting process – it affects every aspect of a person’s life – especially their work. Because they lose sleep, get sick more often, and tend to be “emotional wrecks,” these employees also tend to miss many days of work – on average 5 weeks of absenteeism as a result of a divorce. When they do come to work, their job performance also suffers – a term “presentism” has been coined to describe this. Being less focused on their work often results in errors, poor follow through, and when operating equipment, can result in more work related injuries and damage. In addition, grief, irritability, displaced anger at coworkers, impulsive decisions, tardiness, and calls at work regarding the divorce process – these are all factors that affect the business, as well as the employee. Other workers also feel the impact – in many cases, coworkers have to pick up the slack for this employee, doing more work, and this can lead to resentment and an overall decline in business performance. Businesses in the past have generally had only two options – do nothing, or try to have the employee use the Employee Assistance (EAP) Program, which is limited to 5 individual counseling sessions. Neither of these solutions has proven to provide the support needed by the employee to regain their emotional “footing” to perform their job in a normal fashion – and the business suffers as a result. Starting Over Again, founded by Nick Meima and Tara Welles, now provides a divorce recovery program for women and men, with integrated divorce coaching, workshops to businesses seeking a better solution – now for the first time with online interactive classes. This allows any employee in the United States or Canada to directly participate, regardless of location, and also provides a private, confidential setting for employees to learn new ways to move through the painful process of divorce, and to develop new strategies to move ahead in constructive and healthy way. Starting Over Again now offers seminars every few weeks, allowing participants to take part in the interactive recovery process. The new program includes 10 weekly classes, a text book, a work book, weekly follow ups, an hour individual session with a divorce coach, support forums with fellow classmates, and a before and after test the verifies the progress each student has made. This program can be easily integrated into a businesses human resources support programs, and is geared to help both employees and the businesses they work for, to reduce the financial losses created by the emotional trauma of divorce. 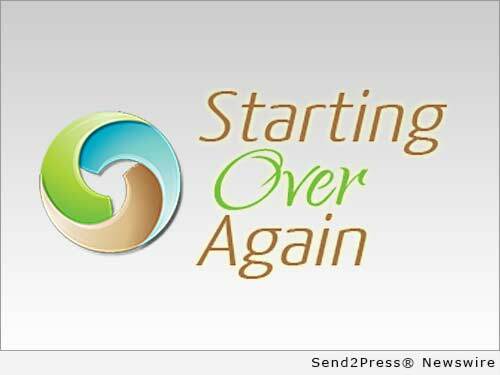 To learn more about Starting Over Again, or its programs, visit the website at http://www.afterdivorcesupport.com/ – or contact Nick Meima at 720-524-3664, or via email at nick@starting-over-again.com. Original Keywords: employee going through the difficult process of a divorce, Employee Divorces, counseling, workshops, Employee Assistance Program, human capital Starting Over Again Denver Colorado DENVER, Colo.
REFERENCES: Business News, employee going through the difficult process of a divorce, Employee Divorces, counseling, workshops, Employee Assistance Program, human capital Starting Over Again Denver Colorado DENVER, Colo.